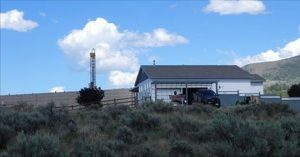 This Spring, the city of Fruitland, Idaho, passed an ordinance regulating oil and gas development within city limits. 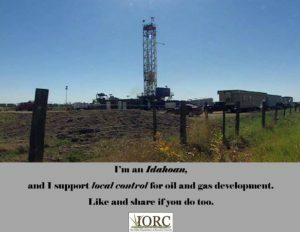 The process unfolded over five months, required numerous revisions, and public testimony from IORC members and allies who provided input and encouraged them to create sensible, strong, protective oil and gas regulations. The Fruitland City Council approved the ordinance unanimously. Most notable sections of the new ordinance were the setbacks. Setbacks dictate how close oil and gas may be developed in relation to homes, businesses, schools, and sources of fresh water. These setbacks are greatly improved over the 300 feet required by state law and provide greater protections from negative health and safety effects. After much public testimony and negotiation with the Council and the city attorney, they agreed to set the distance at 1,200 feet from the property line of occupied structures, wells, canals, surface waters, schools, hospitals, and churches (1,500 for post-extraction facilities such as dehydrators). There are questions surrounding the scope of local authority over oil and gas after the state legislature voted to occupy the field of oil and gas regulation. The tension lies in a 2012 revision to Idaho Code which allows local governments to pass laws to “protect the public health, safety and welfare” but limited it to the scope of land use planning authority. At the same time, local governments are forbidden from prohibiting oil and gas development either through outright bans or by over-regulation. Fruitland’s new setbacks are much stronger than the state’s 300-foot requirement. When implemented, they will cover the entire city of Fruitland, effectively prohibiting development there. The oil and gas industry argues that the ordinance’s strength renders it illegal under state law. Proponents believe, however, this is not the case because there is a provision written into the regulation that allows operators the ability to be granted a waiver from the strict setback requirements. Also worth noting, City Council included requirements for baseline water-quality testing of wells in the area of drilling, the use of chemical tracers in drilling fluids to allow for easier linkage to the cause of the water contamination, remote shutoff valves in case of leaks or emergencies, greatly improved comprehensive liability insurance coverage amounts, a road use agreement, and post-extraction (processing/dehydration/etc.) facilities to be limited to heavy industrial use zones or are required to obtain a conditional use permit. The City of Eagle, Idaho is currently considering a similar move. They are proposing an incredible 2,640-foot (1/2 mile) setback from the property line of occupied structures, wells, canals, surface waters, schools, hospitals, and churches.